Individual buttonholes attached with pearl headed pins. 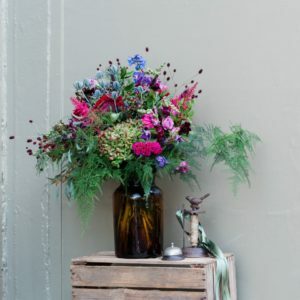 The Old Town: Rich jewel tones, a little bit dark and moody with old-fashioned charm and quirky touches. 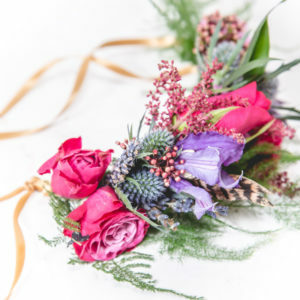 Flower content includes; Rich velvet roses, jewel-toned celosia, clematis, and thistles, quirky foliage and textures. The New Town: Whites & greens – with a fresh crisp feel and understated style. 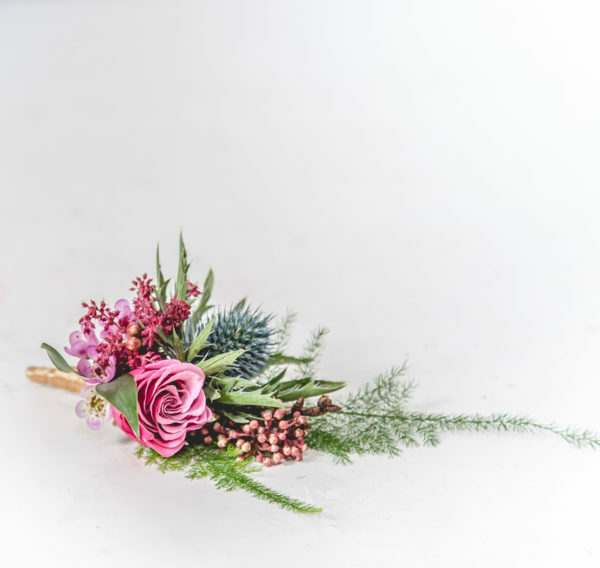 Flower content includes; Blousy hydrangeas, Ivory roses, eucalyptus, green thistles. 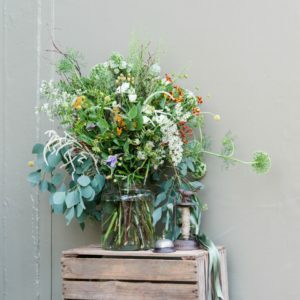 The Meadows: Delicate & dainty seasonal stems. Flower content includes; Rustic waxflower, seed heads, grasses and seasonal stems with a wildflower nature.